This page is a table of contents for for several new and forthcoming posts. 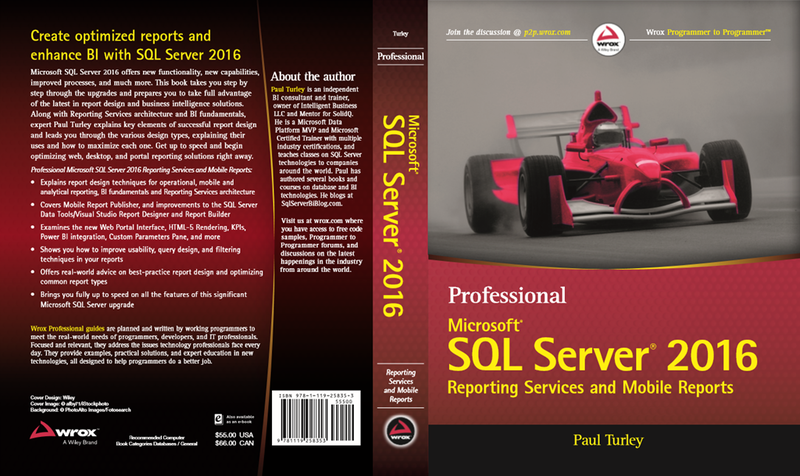 I’m posting a series of excerpts for my Wrox Press book: Professional SQL Server 2016 Reporting Services and Mobile Reports. Each of the posts is a condensed version of the material covered in a corresponding chapter from the book. Although I would love for you to buy the book to get the full edition of each topic, each post will contain valuable information that I hope will be informative and educational on it’s own; whether you buy the book or not. I’ll update this index with topics and links as I continue to add each post. Until then, some of these will serve as placeholders for future posts. Chapter 2 – What’s New in SQL Server 2016 Reporting Services? What’s changed in SQL Server 2016? This entry was posted in BI Projects, Business Analytics, Microsoft BI Platform, SQL Server, SQL Server Pro Magazine, SQL Syndication, SQLServerPedia, SSRS Administration, SSRS Design. Bookmark the permalink. 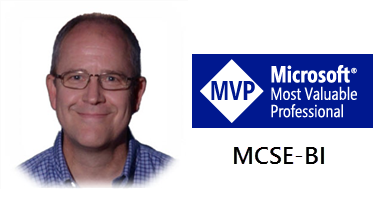 Hi Paul, do you go into much detail regarding connecting SSRS to a tabular model? I also noticed that you have repeated the contents of Chapter 13 and Chapter 12 probably by mistake. Ahhhh, thank you. Much copying and pasting. I’ll get that updated.